Time for a Friday's Fave Five hosted by Susanne at Living to Tell the Story. It feels like a busy, long week around here. Maybe it was. Or maybe it's just that dull moments are few and far between when you have a four and one year old who can't stop moving and talking. I'm not sure. At any rate, I'm very glad it's the weekend. Five things I'm thankful and grateful for this week? Let's get right to the list, shall we? #1 - CSN Stores contacted me and asked if I'd like to review another of their products and it just so happens that I would. I know we all see a lot of bloggers talking about CSN Stores and, hey, I don't begrudge them that. It's a nice thing to do every now and again and with Christmas coming up - I know one thing in particular that we think would be really fun to get for the boys so I'll be reviewing "that" product for Christmas. In the meantime, if you haven't heard of CSN Stores they are kinda running the race against Amazon (and by my Google searches for various items, are picking up their speed!) You can find any multitude of items on their site, including but not limited to bathroom furniture. (Yes, my friends, it's true.) Anyway. I AM grateful for this opportunity, especially right before Christmas, to be able to work with them again. Know what it is? Why, it's one of my all-time favorite Christmas movie classics and I'm excited to kick off the Christmas movie watching season with this timeless story. 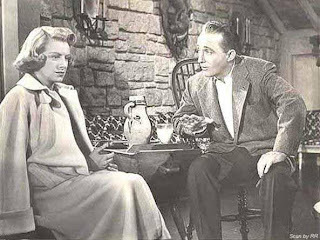 You cannot beat Bing Crosby when it comes to Christmas. He simply cannot be topped! #3 - I am not really an ice cream person. It's nice every now and again but if there is another treat option, I'll usually go for whatever the other thing is. (I'm the opposite of Jonathan in this way!) However, when it comes to Christmas and Dreyer's Peppermint Ice cream, if you are going to bring some over to my place you should probably pick up two cartons - one for me and one for everyone else. We'll just call this one a "craving" right now, ok? Isn't that fair? Say it's fair. #4 - A rare night out with one of my in-town friends. It's not often that we get a chance to connect and fellowship but I always enjoy it when we do. We met up at a local bakery on election night which may or may not have been a good idea (when local contestants began to give acceptance speeches right next to our booth.) But it was a good catch-up conversation. Those are my Friday Favorites this week! As always, I'm grateful to Susanne for hosting! Have a wonderful weekend, folks! I hope you enjoy it! Yahoo for peppermint candy ice cream!!!!!! I agree it is THE BEST ice cream ever discovered!!!! ENJOY! I've not heard of CSN -- will look forward to your review. Yes, I do know that movie and love it! If I were coming over I'd give you all the ice cream. :-) Lactose intolerant and not a peppermint fan. Glad you got to visit with a friend, and I was pretty pleased with the election results, too! I'm glad your candidate won. I'm pleased with a lot of the election results. However, I'm not looking forward to 2012 and the ads we will have to listen to then! The review going on sounds 'christmassy' :) Happy Friday. I have not heard of CSN Stores, but sounds very cool. Glad you’re able to “help” them out. :-) I’m not really an ice cream person either, so maybe I should try the peppermint? Or maybe I should stay far away from it! I have enough temptations with desserts as it is. Have a great weekend! I almost picked up some Peppermint Ice Cream the other night. Instead, I got their Pumpkin, which is quite good, too. Sounds like a great week! And oh, the peppermint ice cream looks wonderful. Over the summer we had an ice cream cake roll with chocolate cake and peanut butter ice cream; I imagine it would also be delicious with peppermint ice cream! I love peppermint ice cream, too! Couldn't help but comment on your CSN mention--they've contacted me twice and I figured there was a catch so I didn't respond. I'm curious about your experience with them. OK, you're gonna be shocked...I have never actually seen that particular Christmas movie! But NOW it is definitely on my list for this season. I'll watch while eating a big bowl of peppermint ice-cream! I start to look for Christmas gifts. I don't want to wait for the last minute. Each time I see something which is nice I buy it and put it away. Its fun to have those seasonal favorite movies. Our family loves Elf, crazy, but we always laugh. Congrats to your Texas friend for winning the election. I really haven't experienced CSN. I'll have to check it out. Is that White Christmas or something like that? I love that one. I'll need to try that ice cream, too. Have a great weekend! I hadn't heard of CSN Stores before (not being much of a shopper on or off line) but I'll be sure to mention its existence by my husband. 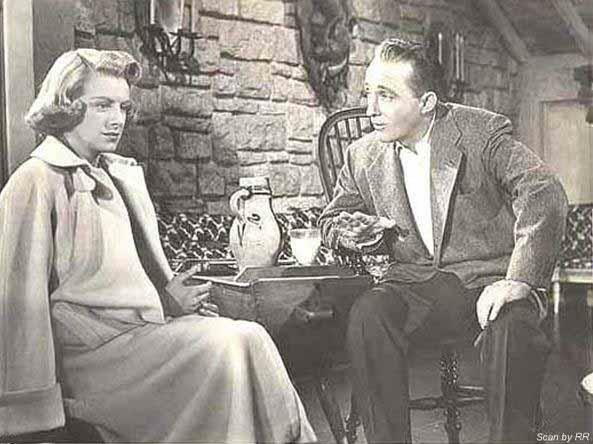 I saw the photo of Bing and Rosemary and KNEW just by that one frame that you were writing about White Christmas! Well, yes, I love that movie too and have seen it SO many times! We don't have Dreyer's but I'll be on the lookout for Peppermint Ice Cream. Sounds dreamy. I won a gift certificate from CSN, but I haven't used it yet. 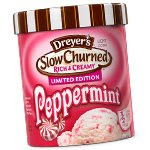 I've never seen that brand of peppermint ice cream here but there is an awesome one out by President's Choice that I saw sitting in the freezers this past week. Yum! That peppermint ice cream is certainly a special treat at Christmas time! Even in November :-) That's so neat that someone you knew and knew to be such a person of integrity has won the election. Hope your weekend is going well. Mmm. Peppermint ice cream. I usually avoid the ice cream aisle (because it is TOO tempting for me), but I might have to make a special trip to check out this yummy-looking treat. Oh! I love White Christmas! I remember the first time we watched it, my parents had it broken into two parts. We watched the first part on a Sunday evening and then had to wait a whole week to watch the second. (we must have been young). Love that movie. And yes, I've been a Bing fan for a long time. There are so many great Christmas movies, but I still think White Christmas tops most.